Special: Choose an OptionJust 1 Left! 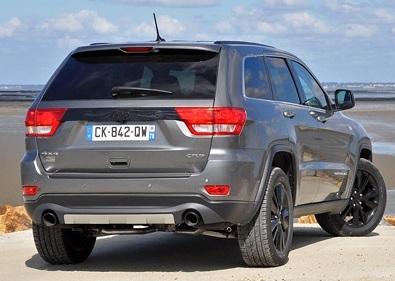 Steady your Jeep Grand Cherokee as you're driving and help cut down on its turbulence by installing a Mopar Genuine Rear Sport Bumper Diffuser available at JustforJeeps.com. 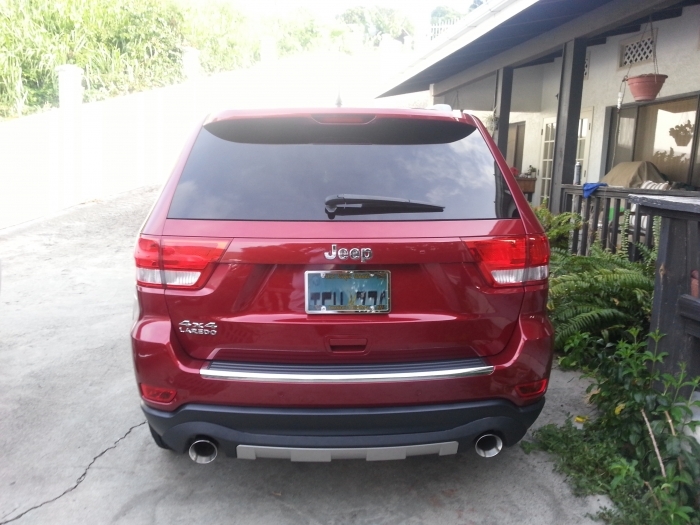 Installation of this unpainted diffuser is not the least bit complicated, so you can install it quickly and get back to the things you love most about owning your Jeep. The package for item No. 82212680 includes mounting material and double-sided tape. 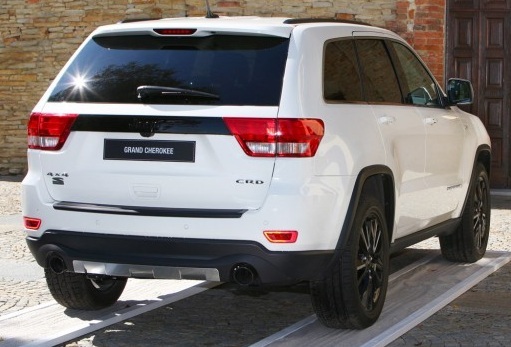 The Genuine Rear Sport Bumper Diffuser is compatible with Jeep Grand Cherokee WK models manufactured between 2011 and 2013. 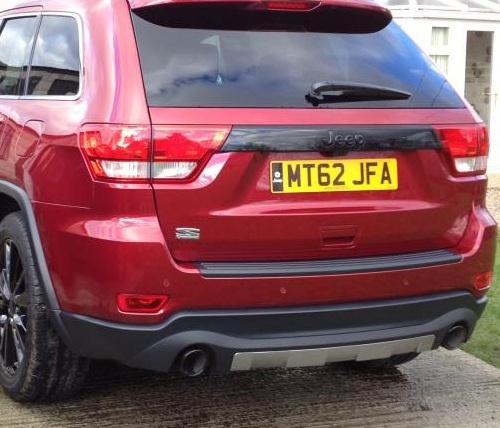 Add a very rare and unique look to your WK2. 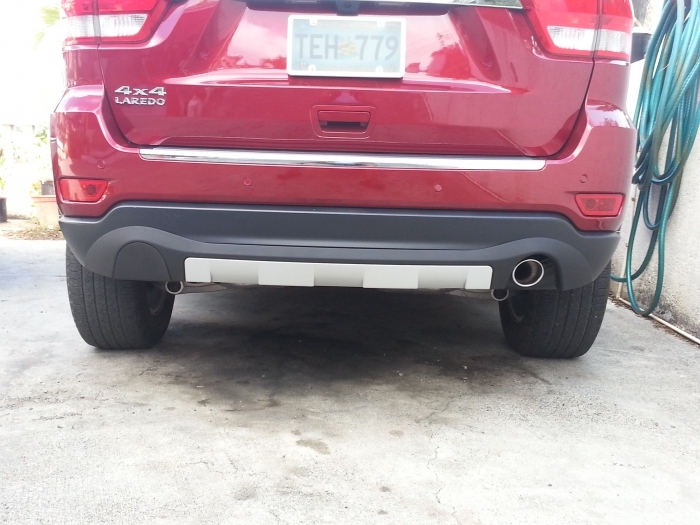 This rear diffuser kit can be used on JGC's with both dual & single exhaust. Looks great and install was easy. Just for Jeeps are the only ones around who have this part available! Make that rear end look even better! 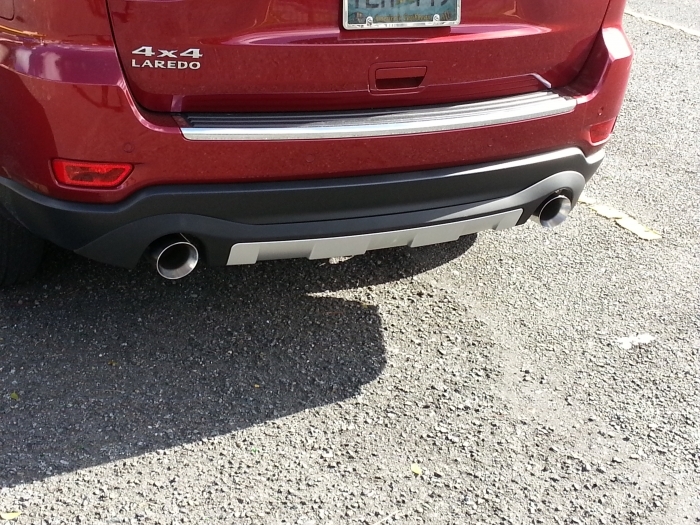 This was a great mod to do the installation time was less than an hour. Skill Level on this is low just take you time and test fit and mark the placement. I suggest getting the 3m adhesion promoter to assist with the installation. 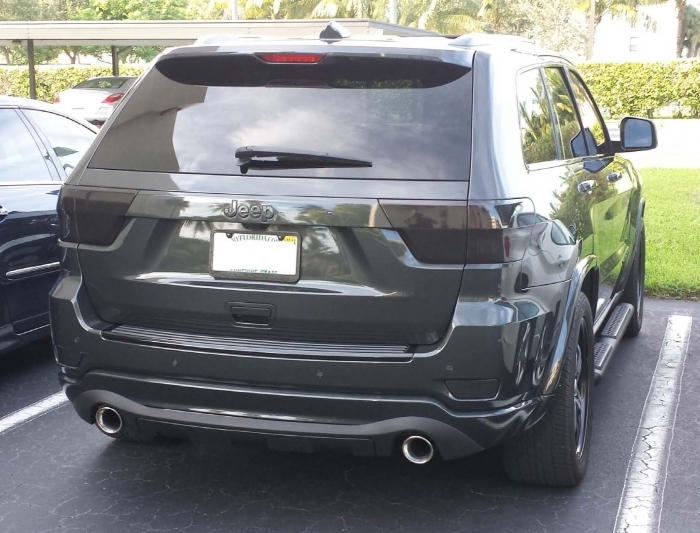 ProsYou won't find many WK2 in the US with this rear valance so this will make you stand out in the crowd. This kit can be used on cars with both Dual and Single exhaust This is another Euro only accessory brought to you exclusively by Just For Jeeps! 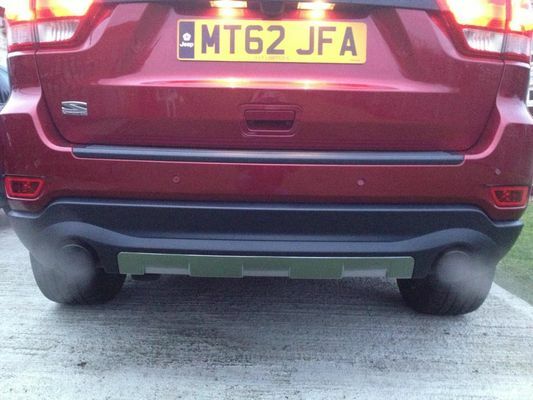 ConsIt is reccomended that you add some exhaust tips to the rear valance. The 3M adhesion 06396 is not included with the installation hardware.